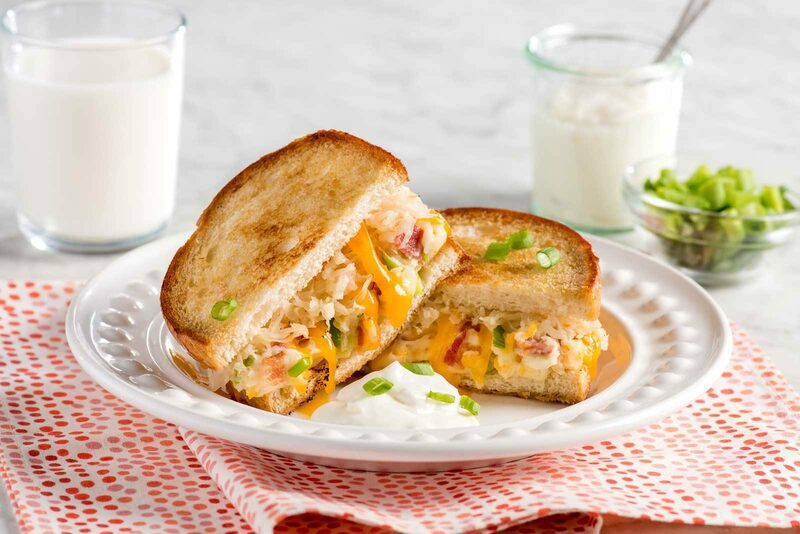 Here’s a fun twist on grilled cheese – all the flavour of perogies in sandwich form. Mix together mashed potato, 1/2 cup (125 ml) cheese, bacon and green onion. Lay 4 slices of bread on work surface. Top with mashed potato mixture, remaining cheese and sauerkraut. Cap with remaining bread slices. Spread butter on outsides of bread. Heat nonstick skillet or griddle over medium heat; grill sandwiches for 2 to 3 minutes per side or until cheese is melted and bread is golden brown.